This map is still in the Alpha stage, which means not everything has yet been implimented and there may be some bugs, but it is still very playable (and according to the dozens of people who have played, very fun). 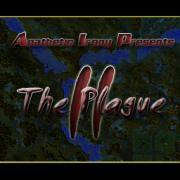 The Plague II is a zombie-tag map, where 1 player is a zombie and 9 players are humans. Red may choose a difficulty, and based on the difficulty, a number of AI controlled ghouls spawn for the Zombie player which will roam the map and search out the humans. When a zombie scratches a human, the human will slowly lose health until they die or are cured by a Priest. When a human dies they will revive as a ghoul for the Zombie player. When a zombie dies they revive within 25 seconds. The goal of the map is for either a) For the humans to survive for 20 minutes or b) For the zombies to kill all of the humans. As a side note, the game is intended for the Zombies to win the majority of the time unless the humans actually know what they're doing. Newer versions are released, usually monthly, containing fixes and new features. Beta testing is expected to start soon (which means balancing), so bare with me. DO NOT SUGGEST BALANCE CHANGES; all features are not in so balancing an unfinished game is stupid. I do appreciate feedback (as stated, not balancing feedback from people who have played 6 minutes of the game), so please feel free. It helps the map improve. Sounds like zombie attack(the map). Freaking awesome! If you could (and have the time), make another one!!!!11! !1!